Austin and Marife's wedding was held at The Fountains Ballroom and Vineyard in Glenwood, Iowa. 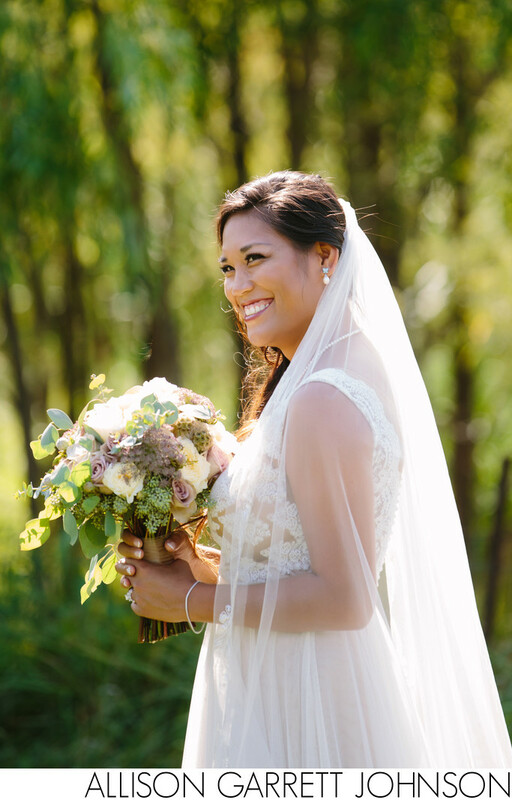 Marife's dress was designed by Watters Bride and purchased at House of White in Newburgh, Indiana. The bridesmaid dresses were White by Vera Wang for David's Bridal. Austin and Marife's wedding and engagement rings are from Kruckemeyer & Cohn in Evansville, Indiana. Hair was done by Mollie Peterson from Eve A Salon in Lincoln, Nebraska. The gorgeous makeup was by Erika Harris Allison from ECosmetics by Erika. Flowers were provided by the Fountains Ballroom and Vineyard. Location: The Fountains Ballroom, 51496 230th St, Glenwood, IA 51534.